A soft knit and extra soft fleece lining makes the Barts hat really comfortable and warm. Stretchy ribbed edging makes the Barts hat easy to get on and off, and ear flaps will keep ears protected in cold and windy weather. 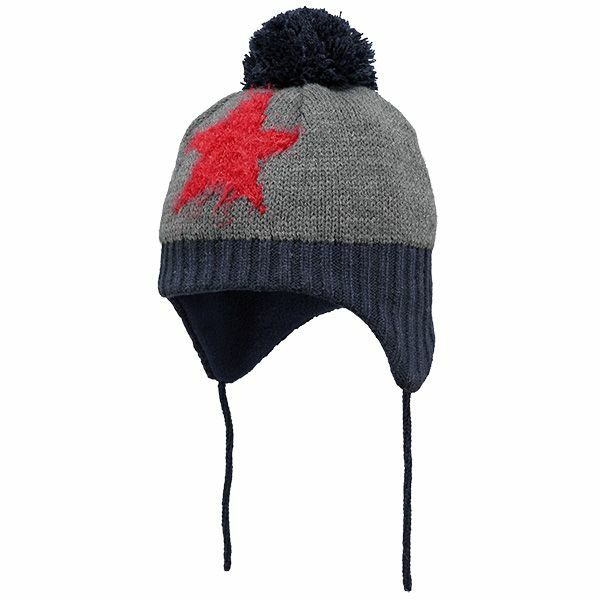 A red star and navy bobble add a playful look to the Barts Milkyway Inka hat.